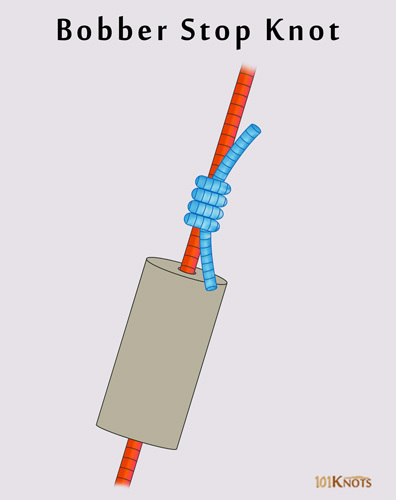 A bobber stop knot comes handy when you want to adjust the depth at which you want to suspend your bait. Bobber fishing is especially good for walleye, panfish (mainly crappie) and ice fishing. A utilitarian feature of the knot is that it can be passed easily through the eyes of the fishing rod for casting. As the bait reaches the desired depth, the slip bobber can slide up the line until it hits the stopper knot. It allows presenting your bait at a great depth without being hindered by the bobber on the cast. Dacron fly line backing suits the float stopper knot well. 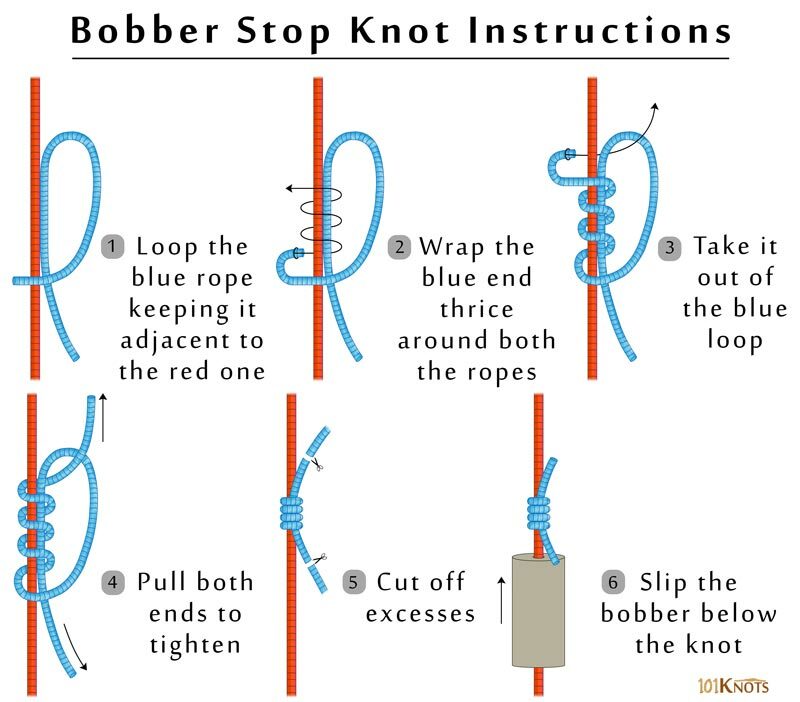 Take about 6 inches of the stopper line (the blue rope) that is usually of the same diameter as the fishing line (the red rope) itself for making the knot. You should begin with step 1 at the chosen depth where you want the bobber to stop.